Nokia XL, Nokia X+ Plus and Nokia X Smartphones have been officially released by Nokia as Nokia X flagship family powered by 'Android' mobile operating system. Below you will see an Infographic based on Difference Comparison of Nokia XL, Nokia X+ Plus and Nokia X Specification, Features, Design, Hardware, Software UI, Video, Internet Connectivity, Business Apps, Navigation etc. etc. 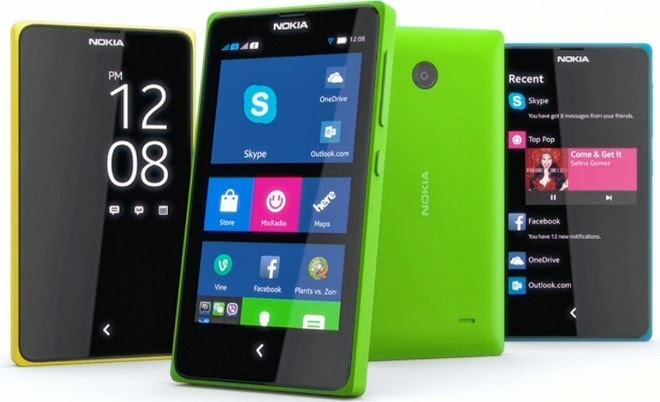 The hardware-software technical specs and features of all three Nokia X family smartphones are quite impressive with a refreshing blend of Windows Phone User Interface and Android User Interface (UI) and all three devices are Dual SIM supported and available in six different colors i.e. black, white, yellow, cyan, orange and bright green. 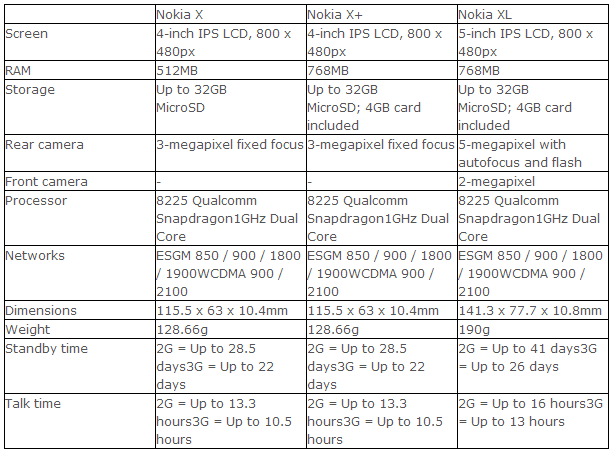 Let's find out more Comparison of Nokia XL, Nokia X+ Plus and Nokia X Specification and Features in below Infographic.